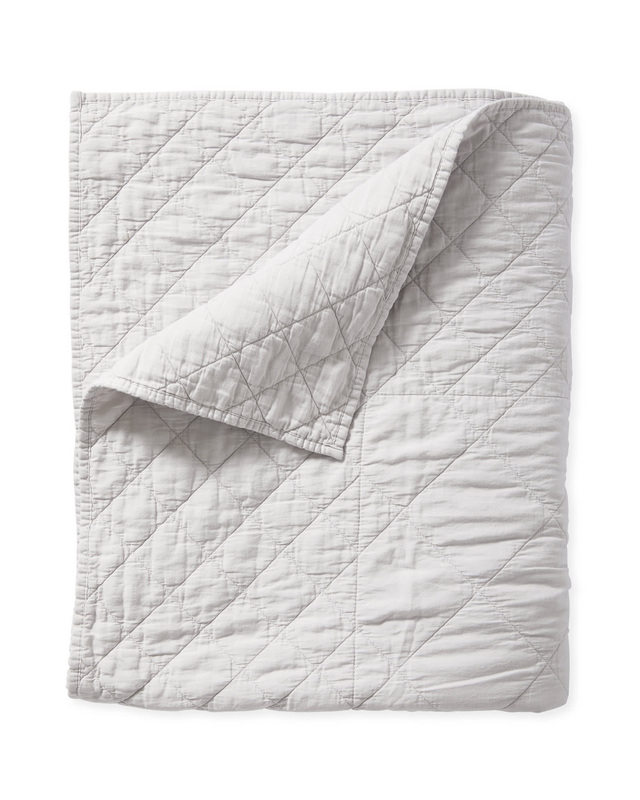 Augustine QuiltAugustine Quilt, Fog alt="Augustine Quilt, Fog"
Print We chose washed sateen for this quilt, giving it a luxuriously soft feel and a matte finish that's both beautiful and versatile. 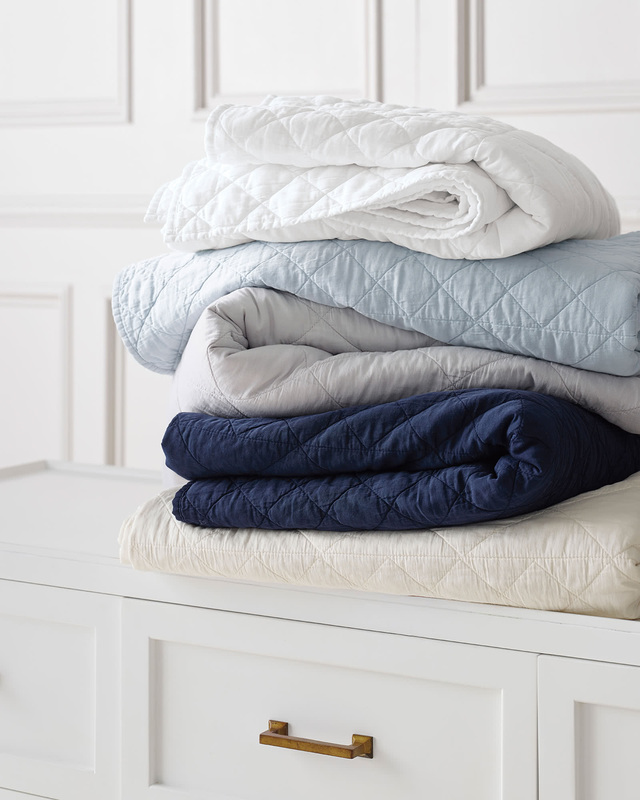 With its neutral palette and slightly lofty fill, it can easily layer with your own bedding favorites making it a must-have addition to your bed. 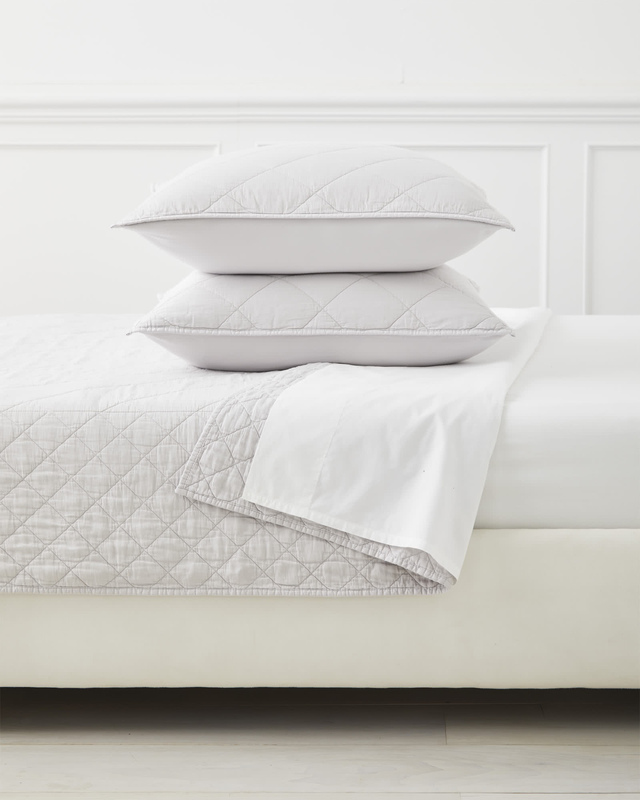 The diamond pattern is a nod to traditional quilting, but the playful contrast is all ours: for added texture, we designed the coordinating quilt with diamonds in different scales. Wonderfully woven in Portugal, a country known for its fabulous textiles. 100% garment-dyed, washed cotton sateen. Sateen is washed for an extra soft, matte finish. Dye lots may vary and because this fabric undergoes a special washing process, it may feature slight tonal variations and no two pieces are exactly alike. Center diamonds measure 6" and border diamonds measure 3".